A Line Worker constructs and maintains electrical distribution and transmission systems. In this position, you will be given the opportunity to work alongside peers who are versatile, enthusiastic, and strive to push forward AECI’s mission. •	The ability to handle necessary stress and work well with others are essential functions of this position. •	Maintains jobsite in a neat and orderly condition. •	Performs any other related duties as required for the effective and efficient operation of the Construction Department. •	Frames and installs poles on distribution and transmission lines under the direction of the foreman. and promotes good relations with other crew members, patron cooperatives and the general public. •	Assists line workers on pole by sending up materials and may operate vehicles as directed by foreman. •	Climbs de-energized poles as directed by foreman. •	Frames and installs poles on distribution and transmission systems. •	Installs anchors and understands safety rules and company policies and promotes good relations with other crew members, patron cooperatives and the general public. •	Assists lineman on pole by sending up materials and operates bucket truck, digger-derrick or other equipment, as directed. •	Climbs energized and de-energized poles, as directed. •	Assists First Class Lineman and Crew Foreman in installing poles, conductors, transformers, meters, and hardware on energized or de-energize lines in keeping with the specifications and customer requirements. •	Understands safety rules and company policies and promotes good relations with other crew members, patron cooperatives and the general public. •	Operates bucket truck, digger-derrick, or other equipment as required by the foreman. •	Must be able to perform basic general maintenance of vehicles used to perform assigned duties. •	Installs poles, conductor, transformers, meters, hardware on energized lines or de-energized lines in keeping with specifications and customer requirements. •	Reviews plans and specifications and understands safety rules and company policies and promote good relations with other crew members, patron cooperatives and the general public. •	Operates bucket truck, digger-derrick and other equipment on job site, as required. •	Informs supervisor of equipment and materials required to complete jobs. Assists foreman in carrying out work plans. •	Trains other crew members in construction of electrical systems as directed by crew foreman. •	Performs basic maintenance on equipment and vehicles used to perform assign duties. •	Must be able to travel to various locations throughout the state of Arkansas and stay overnight as required to complete work assignments. •	Must be able to work extra hours when necessary and report to work whenever needed during non-scheduled working periods. •	Must have working knowledge of REA plans and specifications for distribution and transmission and electric system key location maps. 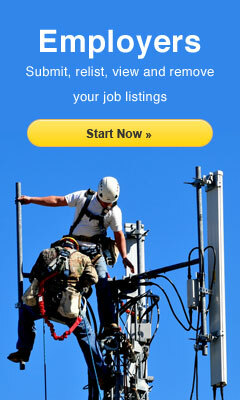 •	Must be able to work in extreme temperatures and at excessive heights. •	During storm season, expect in and out of state storm recovery work. •	Must have tools required to perform duties and be able to perform routine maintenance on crew vehicles.